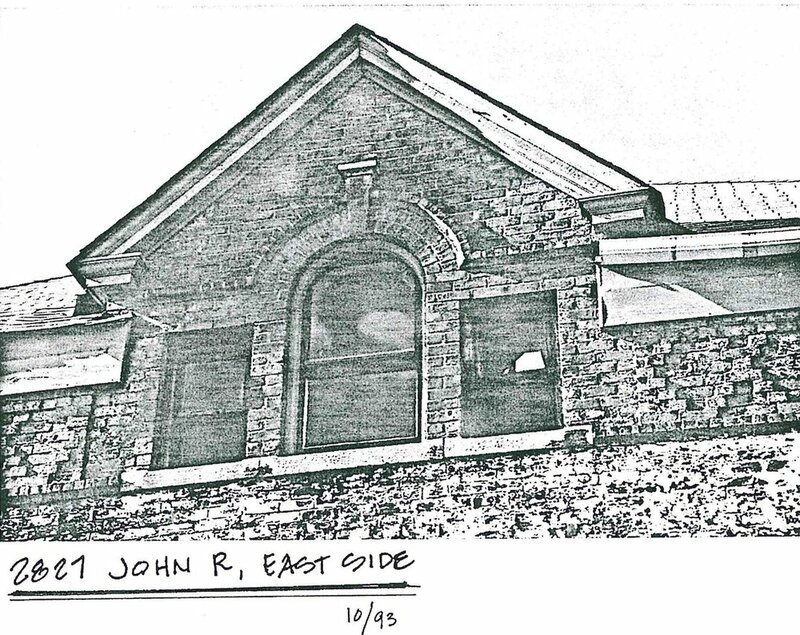 2827 John R is an adaptive reuse project of an historic carriage house in Detroit's Brush Park neighborhood. 17 years ago the carriage house was victim to a devastating fire, leaving the building damaged and open to the elements. It has since remained in this state of disrepair and was recently slated for demolition by the City. Thanks to the vision of a local property owner, who has worked and rehabbed a number of historic homes in this neighborhood for almost 30 years, committed to its revitalization, this building will at last become something new -- something special again. The ground floor will become a new restaurant and bar, occupying the existing carriage house and second floor lounge and a dining room fronting on John R and Alfred Streets. Emphasis will be given to maintaining and preserving the existing facades and architectural character of the highly articulated masonry skin. Above this existing brick shell, will be a series of new, luxury, residential flats and lofts. Each with a unique footprint and outdoor terrace with folding glass walls to bring the outdoors in on those perfect Detroit summer days. 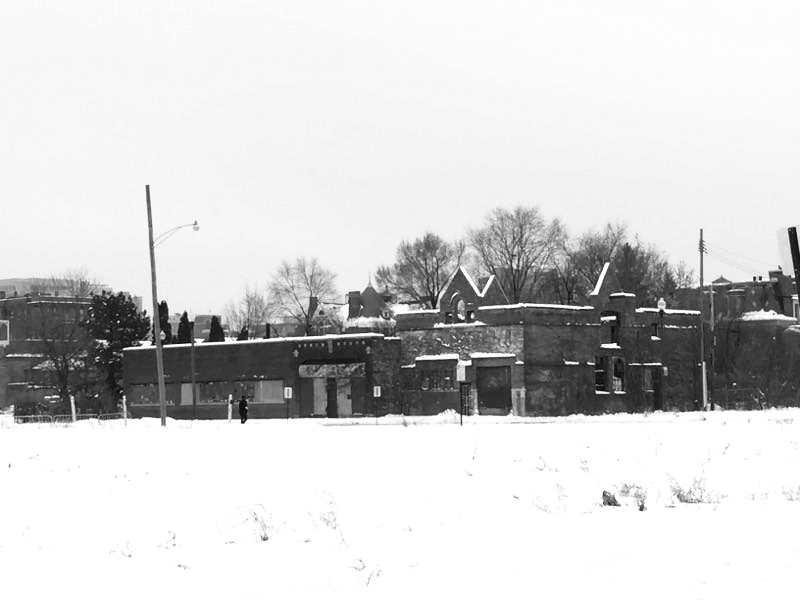 With a goal to bring a new housing typology to the quickly changing landscape of Brush Park. This project embraces its rich history as a means to adapt to a brighter future. 2827 John R is an adaptive reuse of a dilapidated, burned out carriage house. 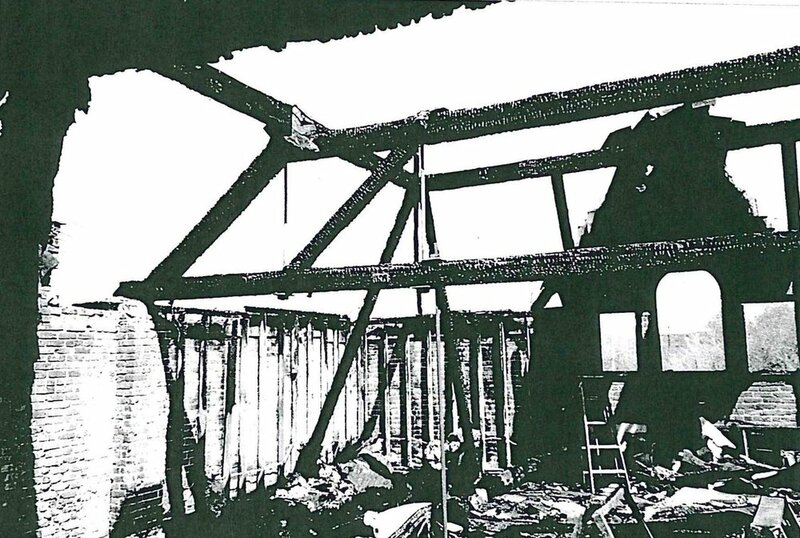 Years ago the carriage house was victim to a devastating fire, leaving the building damaged and open to the elements. It has remained in this state of disrepair and structural instability, leading the City to slate the shell for demolition. But, thanks to the vision of a neighboring property owner, who has worked in Brush Park and rehabbed a number of historic homes here, this project will now have a second chance at life to become something new, something special again. ADAPT. To fully appreciate and capture the essence and history of the carriage house is not to rebuild it into a fake relic representing its once past life, but to give it a new life and new use, to allow the richness of the existing materials and the scars of time to shine. Its architectural character will remain, but become adapted and re-used to create exciting new spaces that were never imagined at the beginning of its life. The quality and richness of this design rely heavily on the interaction of old and new to continue the story without forgetting its significant past. 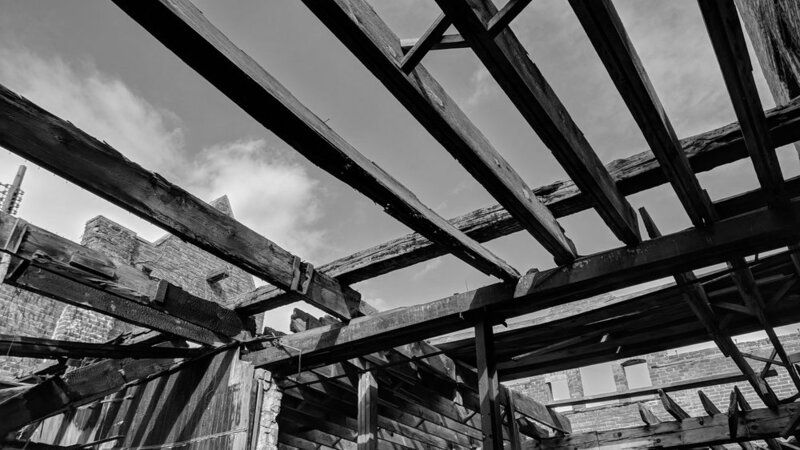 This building will be allowed to show off its character, its weathered patina endured through time. This is what is so special not only about this project but also about Detroit. The ability to adapt through a positive and optimistic approach to design and planning will set Detroit apart from other cities in the 21st century and ultimately become a shining precedent of how you bounce back and move forward without forgetting where you came from. Scars of history are not to be hidden or concealed, but exposed to show your maturity and character. This project embraces its rich history as a means to adapt to a brighter future. PROGRAM. The ground floor space will become a new restaurant, occupying the existing carriage house footprint and extending out to the south with an outdoor dining garden situated across the street from the historic Ransom Gillis House to become a truly unique dining experience with a backdrop to the past. A double height second floor lounge will sit within the carriage house shell, adapting, but re-using the structural relic. Above this existing brick shell, will be a series of new, luxury, residential flats and lofts. Each with a unique footprint and outdoor terrace with folding glass walls to bring the outdoors in on those perfect Detroit summer days.